Your Nintendo Switch is going to come with everything you need to jump in and start playing, whether you're connected to a television or playing mobile, but there's a lot more to this console. There's never really been a game console quite like this before, and with that in mind, there are some accessories out there that you might not normally think of. 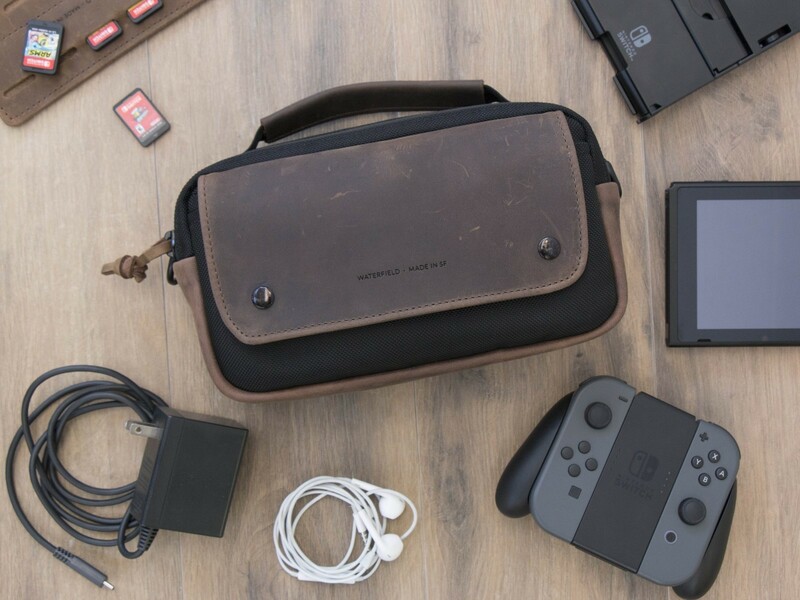 Whether you're gaming on the go or planted on your couch, here are the best accessories for your Nintendo Switch. Instead of packing that big old Dock, plus the power supply, get TNP's HDMI adapter. 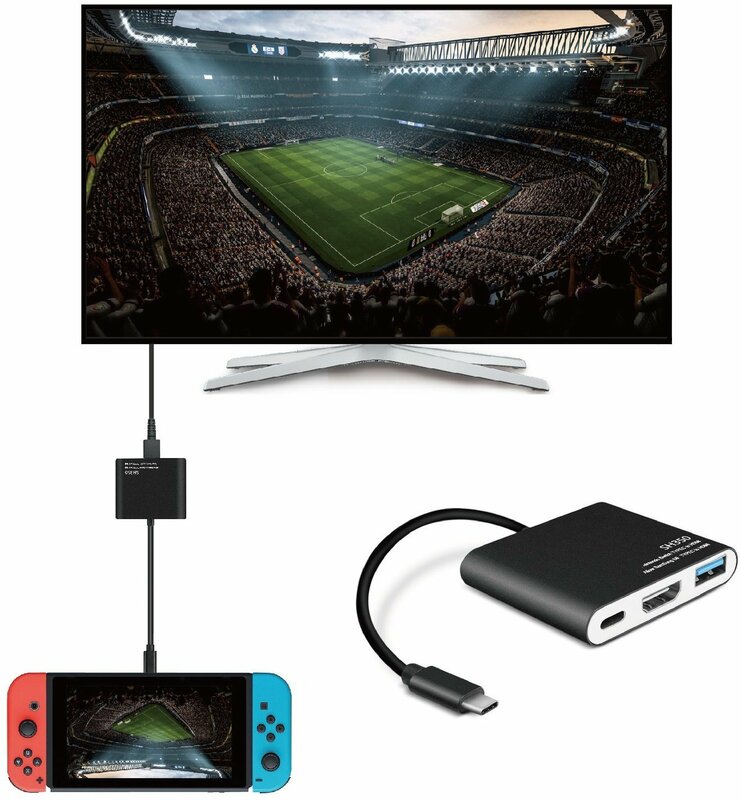 It's got a USB-C cable to connect to your Switch, plus a USB-C port, a USB-A port, and an HDMI port so you can connect all of your needed travel peripherals, including a portable battery pack. 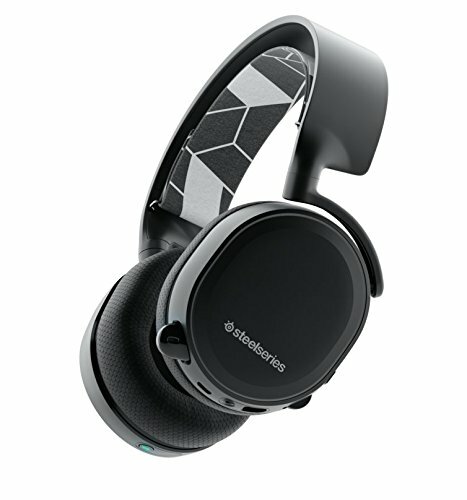 The Arctis 3 is capable of combining audio from two different devices. 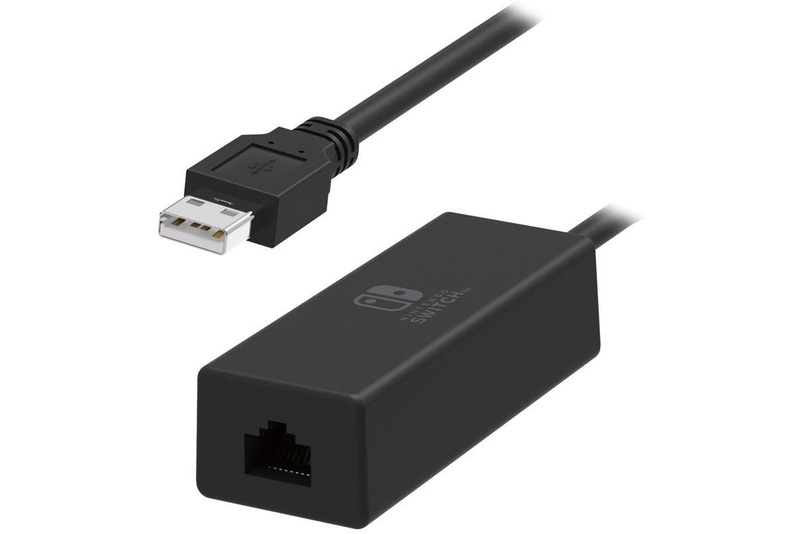 So, you can plug them directly into your Switch for in-game audio, plus connect them to your iPhone via Bluetooth so you can talk to friends through your preferred online chat channels like Discord. The Arcade Gaming Case is a beautiful designer bag made of full-grain leather (let me tell you, this leather feels so nice!) with a soft plush lining. It's big enough to fit your Switch tablet (with the Joy-Cons detached), a Hori Compact PlayStand, your Joy-Cons, all your necessary cables, and more. Not only is the look and feel similar to what exists right now for the Wii U, but the Switch Pro Controller is going to offer a bigger battery and has an NFC receiver baked in for Amiibo support. It's also ready for motion controls as well. 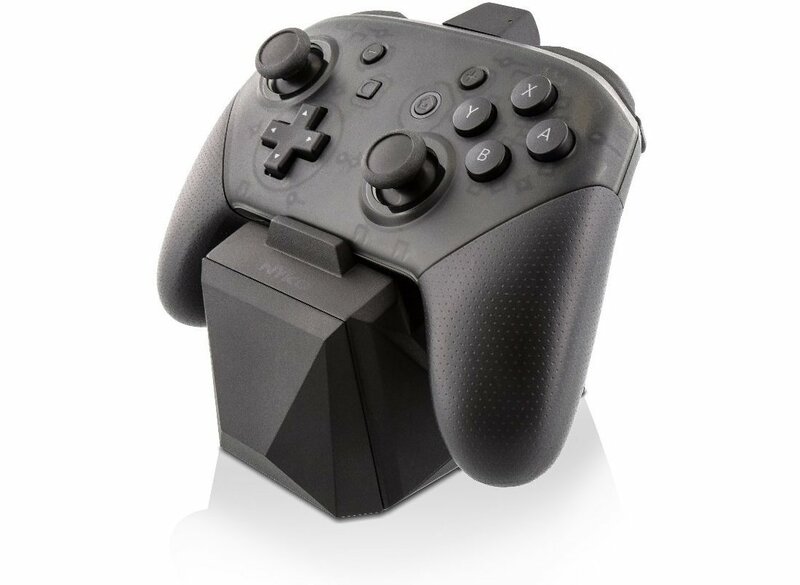 If you're going to get a Pro Controller, you might as well go all in and get the nice charging dock Nyko makes for it. Normally the Pro Controller charges over USB-C, but this dock gives you a set of magnetic pins instead. You just drop the Controller in the dock when not in use, and that way it's always charged when you need it. As fun and portable as the Switch is, the battery life certainly leaves something to be desired. You can carry and plug in a portable power bank if you want, or you can slap this thing onto the back of it to keep you going, cable free. 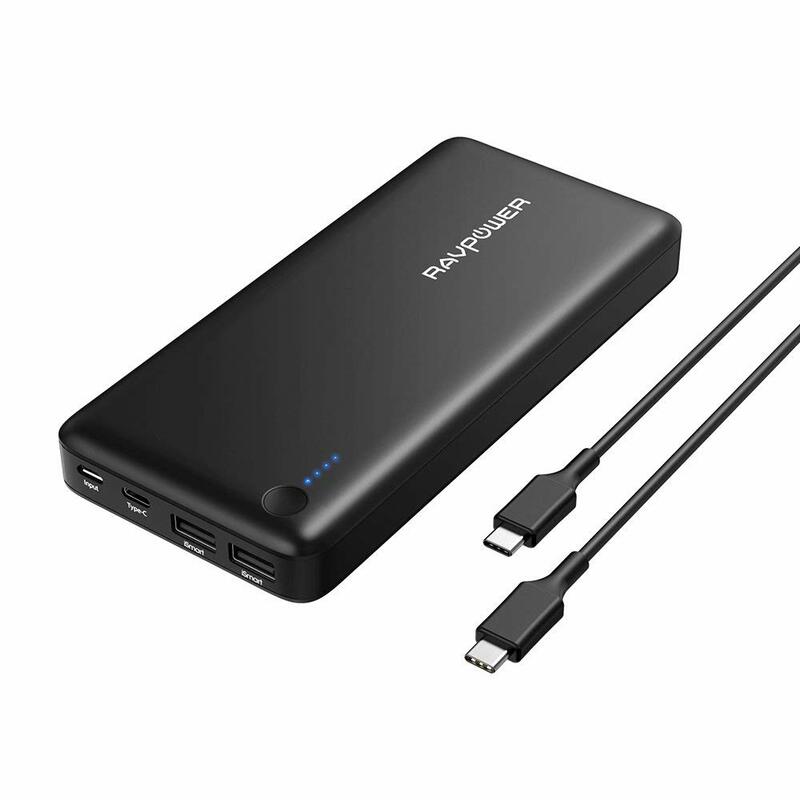 Best of all, it even allows you to charge it up while you're playing via the USB-C or full size USB port. 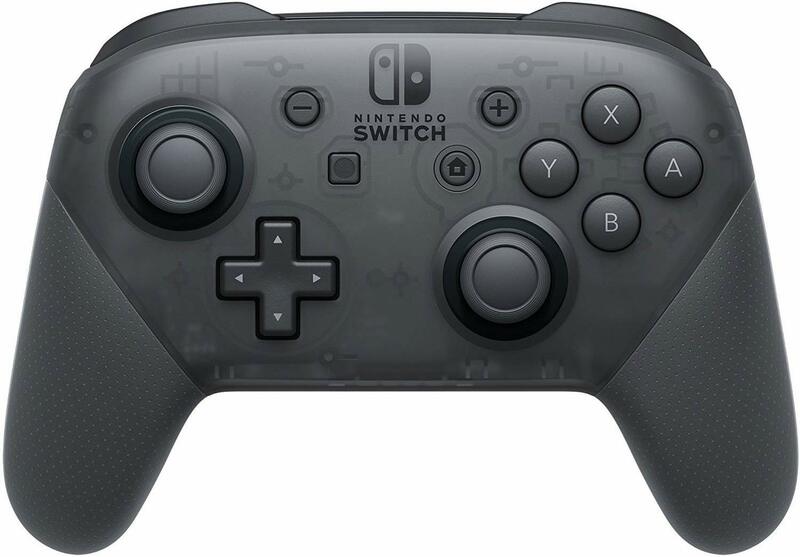 I know, you could just get a Pro Controller instead of dropping more money on these, but depending on your needs it might be a better investment to get a second pair of Joy-Cons because you can split them into four controllers for epic multiplayer games. Your Joy-Cons don't have a charger outside of what you get on the actual Nintendo Switch, and that can be a problem if you've got multiple pairs of controllers and don't always connect them to your console. Fortunately, Orbeet makes a nice 4-in-1 charger with 2 additional USB ports for charging Pro Controllers. 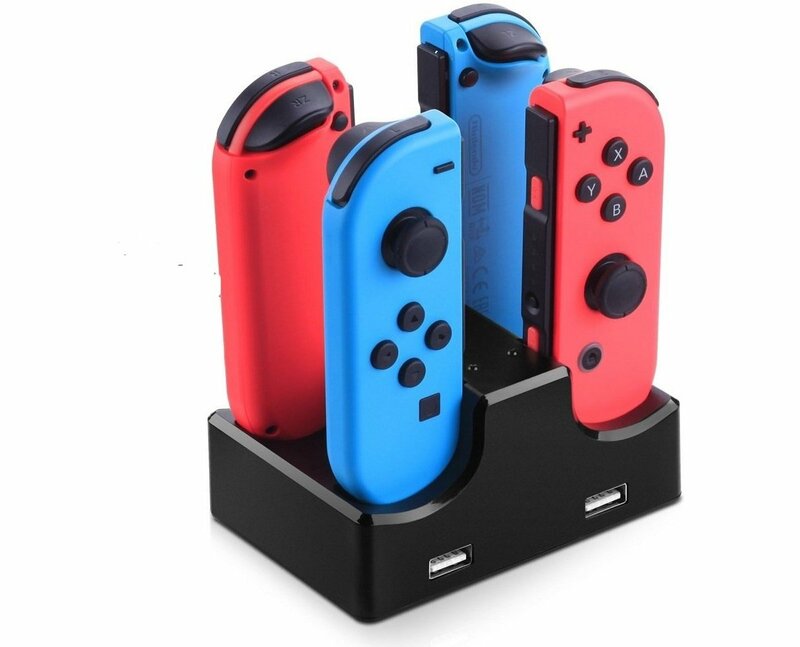 This charging station will allow you to charge all your controllers together so you don't have to worry about keeping track of everything. 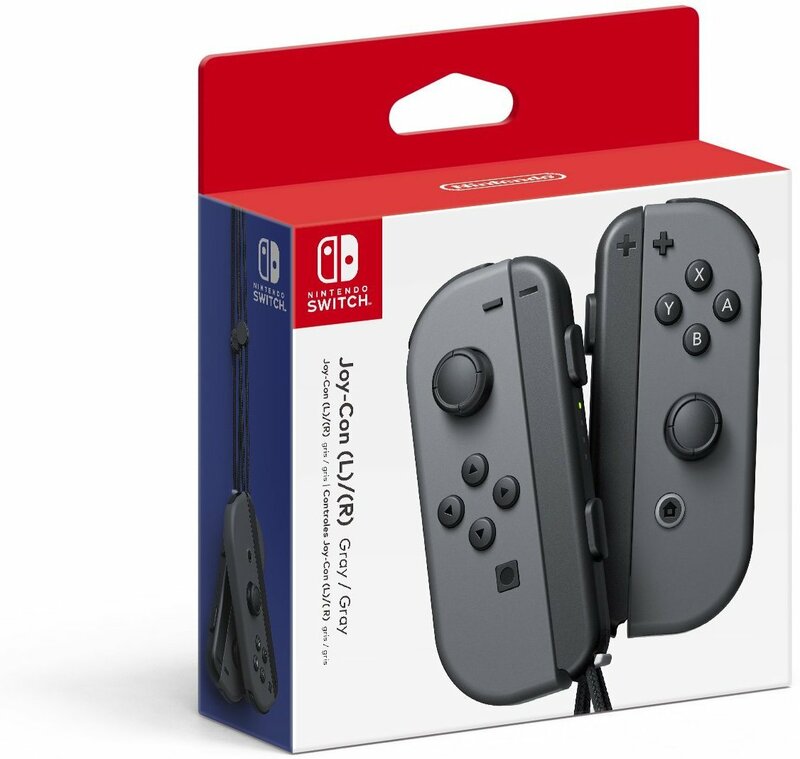 If you're looking for something to charge your Joy-Cons and Pro controller together, this is a great way to do it. For some extra dough, you can get a Mario or Zelda paint job. 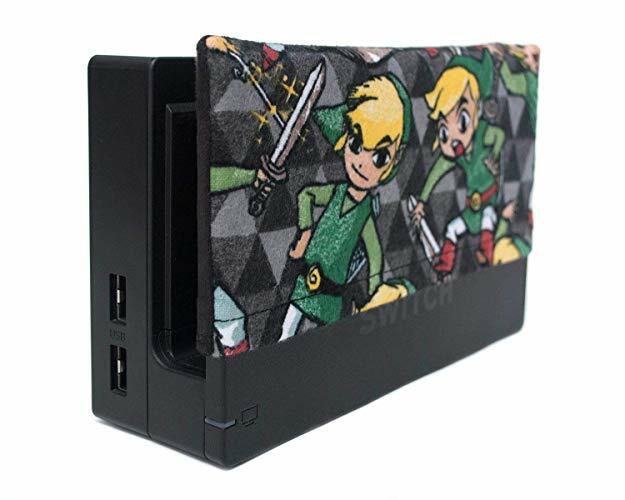 A number of talented folks out there have started making and selling simple cloth covers for the front part of Nintendo Switch Docks, adding a little bit of style and protection to your setup. 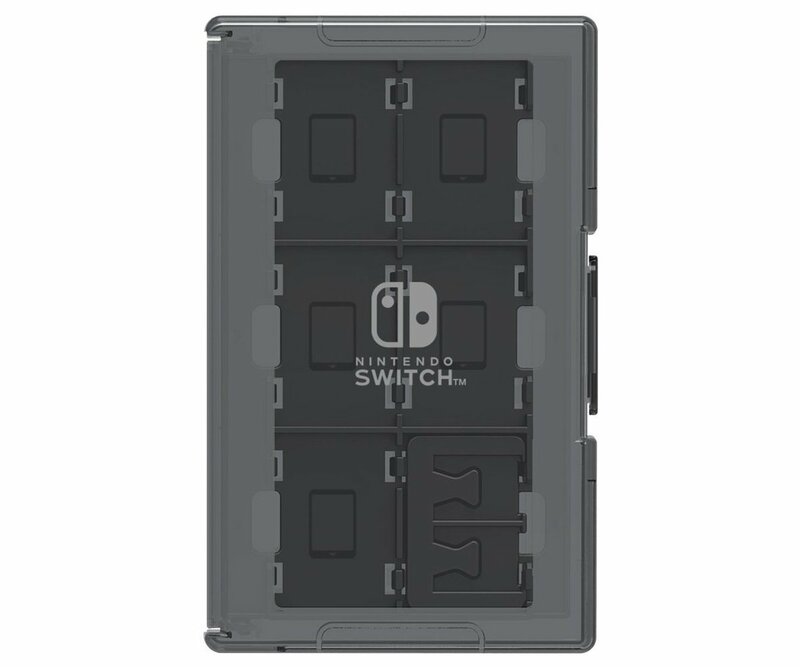 There are a bunch of different designs, but more importantly they keep the Switch display from being accidentally scratched by the plastic edges of the Switch Dock. If you're going to travel a lot with your Switch, or even use it a lot, you might want to consider a solid screen protector. This one is one of the highest rated on Amazon and is very reasonably priced. Even if you don't travel with it much, some folks have reported their screen being scratched from just sitting in the dock so that might be something to keep in mind too. 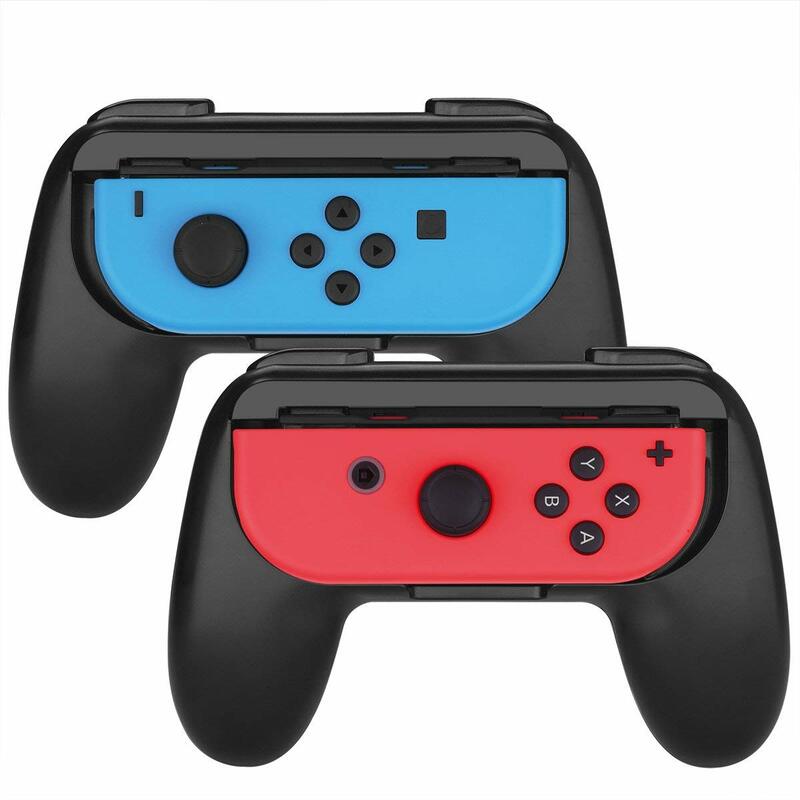 Myriann makes a cover for your Joy-Con controllers that make them more like a mini version of the Grip for each side. The horizontal design makes it easy for you to access the L and R buttons, which is important for drifting and throwing items in Mario Kart Deluxe 8. 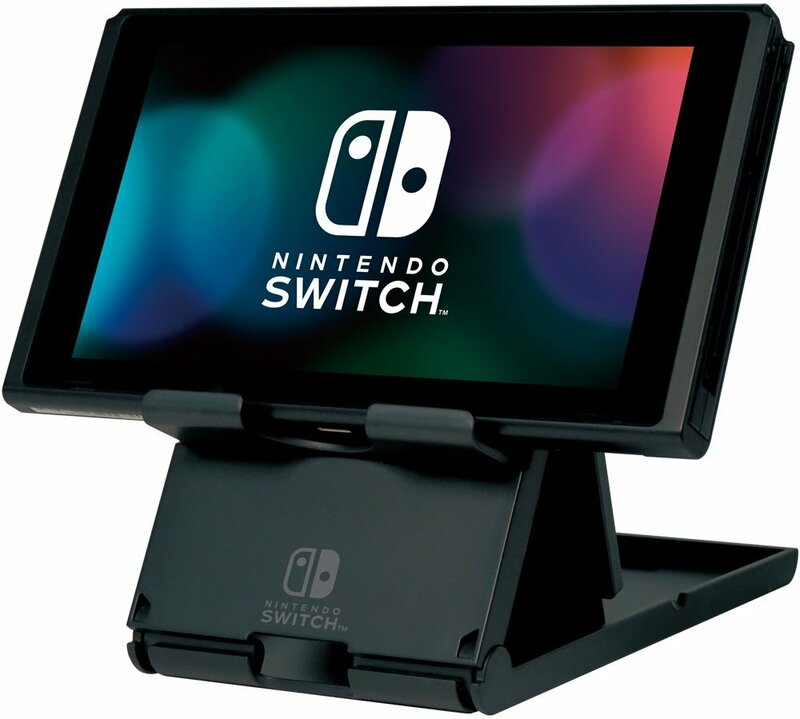 BD&A offers a snap-on folio that covers the display when not in use and gives the Switch a few more options when in its kickstand mode for portable gameplay. 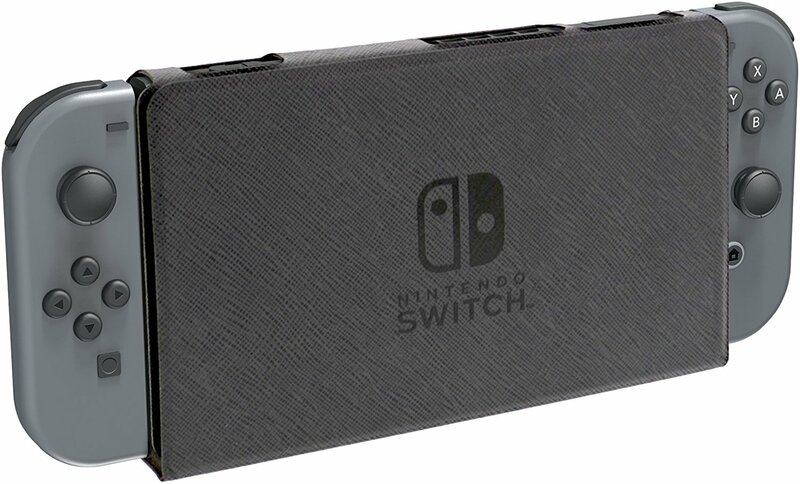 If you plan to travel a lot with your Switch, this is perfect for keeping it safe. This official Nintendo-made case lets you store a Switch with a Joy-Con and boasts padded pockets for storage and analog stick protection. It also features hard plastic cases which will allow you to safely store your game cards and not worry about them rattling around. It will keep your Switch safe for all forms of travel and it won't cost you an arm and a leg. I like to pack light when I travel and this case lets me bring my Switch and plenty of games along with me without adding a lot of bulk. It's quite protective while saving a lot of space and can hold up to ten games as well. HORI makes a slim Game Card Case that holds 24 games, which should take you a little while to fill up. It even has space for memory cards, just in case you need to swap. HORI's Compact Playstand raises the Switch up off the ground with a cutout for the charging cable so you can keep your game going while it's juicing up. Plus, the stand collapses down flat so you can take it on the go without it taking up too much space. Some of us don't want Wi-Fi getting in the way of our online gameplay, and while Switch doesn't offer an Ethernet port in the tablet itself there's a way to make sure you're wired when connected to the dock. This adapter will keep you off of those unstable wireless connections and ready to game on a good old LAN. If you want to keep your Switch powered up while you are on the go, my absolute favorite choice is the RavPower 268000. This power bank holds a whole lot of juice which means you can take your switch from fully drained to fully charged about five times. It's well worth your money and perfect for a Switch travel kit. There is a whole wide world of accessories out there for your Nintendo Switch. Getting the stuff you need to make your Switch experience your own can make your gaming life just a little bit better! The first thing I grabbed was the Pro Controller which totally upped my gaming experience. If you haven't gotten one yet, I highly recommend it. My favorite thing about the Switch is how portable it is so I definitely travel with it quite a bit. When I do, I always pack it in my TomToc Ultra Slim Case and with the amFilm tempered glass screen protector on it, I never have to worry about it getting scratched or damaged.